By following the best practices outlined above, IT teams can ensure they don’t suffer from storage management headaches later down the line. With vast quantities of data to collect and retain, and with the economics of the cloud making for a compelling case, organisations of all sizes and across every industry have adopted the cloud for their computing and data storage needs. 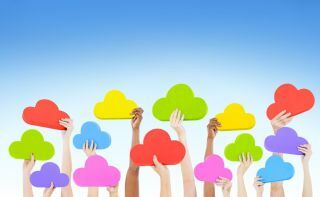 And adopting a multi-cloud strategy appears to be the preferred strategy of most organisations: IDC estimates that 85 per cent of companies have done so. To avoid the potential pitfalls—the headaches—that come with managing a multi-cloud environment, more and more companies are opting for a managed solution approach, and rightly so. A managed solution offer can deliver powerful enterprise-class data storage and management, with the convenience of the cloud. It gives customers full flexibility to choose their protocols and locations, depending on their data types and preferences. A very good way to do this is what we call cloud-adjacent storage, where the data are stored within close proximity to a datacentre housing a main cloud provider. The proximity comes with benefits such as high performance and low latency access to data across both traditional and new storage protocols. It is important to match workloads to the appropriate vendor. The first step is to assess the organisation’s workloads in order to determine which data should be stored on which cloud. By way of example, if a team needs to deploy a Windows client app, Microsoft Azure may be the best fit. Meanwhile, if the company’s workloads involve big data analytics, GCP or Bluemix may be the optimal solution. Then, IT managers need to consider the requirements of each workload, such as I/O performance, latency, scalability and so on. There will, of course, be trade-offs that have to be made when selecting one cloud vendor over another and this is why prioritising the needs of each workload is so important. In order to carry out this assessment effectively, IT teams will need to understand what datasets, servers, storage and other components are used by each workload. Companies are increasingly recognising, however, that the hyperscale cloud vendors, such as Amazon, Google and Microsoft are missing some of the advanced features required to support typical enterprise database and application workloads. Third-party data storage vendors now offer solutions fill these gaps; IT teams should look for one that integrates seamlessly with multiple clouds. Secondly, security is paramount. With the implementation of GDPR in Europe, IT teams have had to rethink their data management strategies to ensure they are compliant. But managing data that reside on premises and in public and private clouds is not an easy task, particularly for those companies that have shifting primary workloads. So, IT teams will need to thoroughly assess how the data protection, back-up/restore and disaster recovery requirements of applications will be accommodated, particularly for those applications holding mission-critical and sensitive data. IT leaders must not only ensure access control is managed across each cloud environment but will also need to comprehend how data sovereignty affects the organisation. If sensitive information will be stored in, backed up to, or “bursted” to that cloud platform, in what jurisdictions might those data physically reside, and what are the potential legal or regulatory compliance issues that might apply? In other words, data are subject to different laws and regulations in each area or country, so IT managers will need to know where a particular cloud stores its data. For companies that want to ensure total privacy and compliance, consider third-party data storage and management solutions that provide dedicated drives and resources, with assured data destruction once data are deleted. Thirdly, consider how to collect and track performance data in a multi-cloud environment. If the performance of each workload and application can’t be tracked within each cloud, then it is impossible to troubleshoot and optimise performance when an issue arises. Therefore, IT managers need to be equipped with the adequate tools to track performance and make adjustments as required to ensure optimal performance. No one wants to work across multiple interfaces, each with its own set of terminology and protocols. To handle a multi-cloud environment, IT teams need a single entity; a consistent and standardised pane of glass through which the organisation’s workloads are presented in the same way. For this reason, nearly all multi-cloud implementations utilise software-defined storage. What you should really look for in a fully-managed storage service, is a single software interface where your data are simultaneously visible in multiple clouds. This means there is no movement of data needed among clouds, and on the long term, will show considerable cost savings as getting data out carries no egress charges. In contrast, moving 1 PB out of a classic cloud vendor costs $20,000 at minimum. You shouldn’t pay to get your own data out, and you shouldn’t pay for storage that you’re not using. By following the best practices outlined above, IT teams can ensure they don’t suffer from storage management headaches later down the line. With the right cloud adjacent multi-cloud solution, your IT team will no longer need to concern themselves with where data actually reside, be it on site, in the cloud or spanning several clouds. Users interact with a consistent, vendor-neutral portal through which they can manage their entire storage infrastructure.